Fuse Multisport: Way Out West Triathlon. Round 3 of the U23 National Triathlon Series. Way Out West Triathlon. Round 3 of the U23 National Triathlon Series. 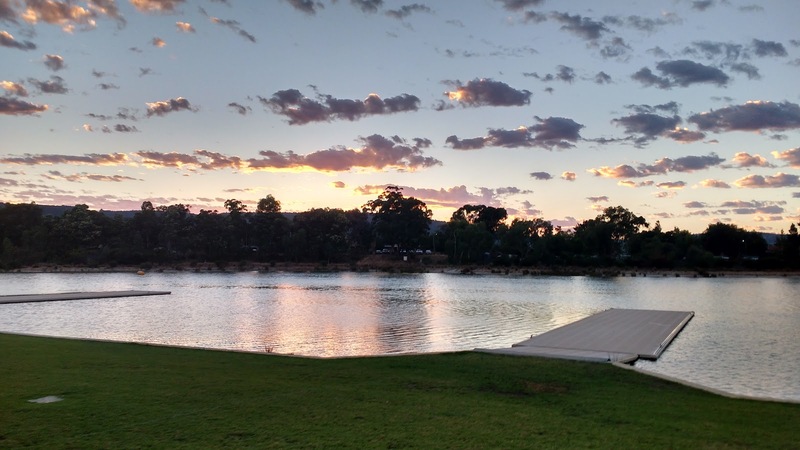 The third race of the AU U23 Triathlon series was once again a whole different race, and another chance to gain more race experience. 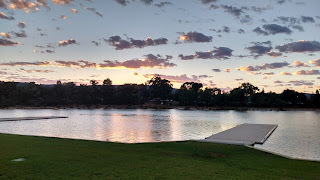 The Way Out West Triathlon, was held at the Champion Lakes Regatta Centre, in Armadale, Perth, and warming up at 6 am in the morning, I was incredibly impressed with the beautiful sunrise. I had to be told to focus on the warm up rather than the view. Thank you coach for keeping me in line. In the week leading into this race I had been feeling quite tired even though I had a slightly reduced volume. I have 100% trust in my coach and although even 1 day out I was still feeling tired, deep down I knew when it came down to the race, it was going to work. The afternoon prior I knew it was going to be good, maybe it was something about the venue. Thank you Triathlon WA for organising such a beautiful event. Swim: The swim was a deep water start, and as I prefer, I started in line with the first turning buoy 150m ahead. Following the first 16 fast strokes, I settled into a comfortable rhythm, stroke rate slightly low, but feeling fast. The swim included a run out and a dive off A pontoon at around the 400m mark to start a second lap. My goodness it was fun. Coming into T1, I had almost 50 seconds on 2nd place and I decided to attack the bike and try to maintain the gap. Prior to the race we had gone through three scenarios on the bike, but as it turned out none of them eventuated. Each of the athletes were riding solo on the bike and I could see them on each lap. We had factored on at least some of the other athletes working together on the bike. This made for a different race to Glenelg and Robina. Bike: During the bike I could feel that it was going to come together well. I focused on myself, the pressure on the pedals and blocked the increasing wind from affecting my mind set (we had been working on learning to love the wind in training). The next 18 km flew by, and I was incredibly comfortable on my Merida Reacto. On the final 2 km heading to T2, I backed off, relaxed the legs and got my mind ready for the run. After three amazing weeks of consistent running since my last race, I was so excited to test myself. Run: Coming into T2 I had around a 1:30 gap on second place. The run was a 4 lap course which once again allowed me to keep an eye on the other athletes throughout. I felt good, and I aimed on keeping my cadence quick and feet light, my Brooks ST5s are perfect and I have never raced a triathlon without these exact shoes. I settled quickly, and the first two laps were amazing. As I passed my coach from lap two into three I could not resist saying “My goodness, the run training has been working. Wow”. Lap 3, I was starting to feel it, but I kept telling myself I could do more. The final lap was tough, and I focused on three things, cadence, arms up, and relaxed shoulders. Although my lead was reduced, I crossed the line first to take out the win in round 3 of the AU U23 Triathlon series. The win also meant that I took out the series win for National U23 Series. 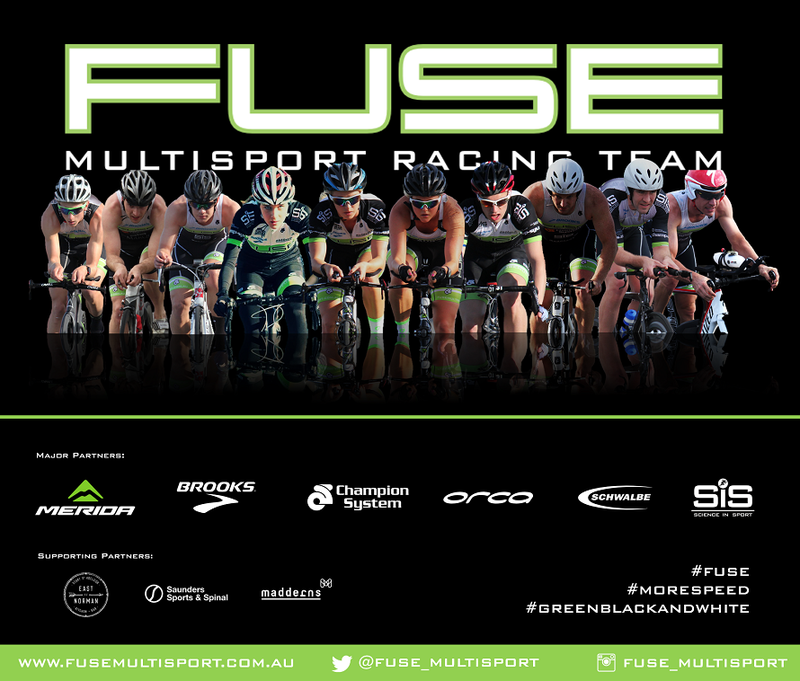 Thanks to my coach Steve O’Brien (who has travelled with me to each race of the National Series and puts up with me at least twice a day, pretty much 7 days a week :-) ), and to my awesome team-mates at Fuse Multisport who test me to my limits at pretty much every set. A massive thank you also to our major partners Merida Australia, Brooks Running Australia, Champion System Australia, Orca Australia, Schwalbe Australia, and Science in Sport Australia. A big thanks also to Madderns Patent and Trade Marks Attorneys, East of Norman and Saunders Sport and Spinal (and esp. physio Craig Fountain).